A direct descendant of English and French hounds, this breed was used during the 17th century to seek out Indians. 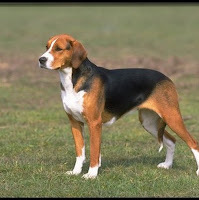 However, in later years the American Foxhound was prized for its talent in hunting wild animals. This breed was never intended to be solely a pet. They were a popular breed with the wealthy who enjoyed fox hunting.